I always like to start of my mornings with a fresh mind and a spiritual heart. What better way to achieve this then to conduct morning reflection sessions for yourself. I try my hardest to get to work about 45 minutes early every day so that I am able to do this. 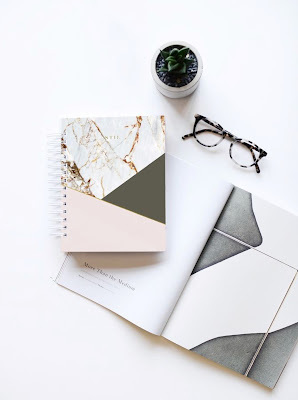 My reflection sessions normally consist of going over my planner and making sure that I am aware of the tasks that need to be accomplished that day, I also add in any additional notes or reminders to myself. I'm definitely one of those people that tends to forget almost everything if I don't physically write it down. After looking over my planner I then read several pages out of my current book of the month. I don't always have a lot of spare time to read chapter after chapter in a book so I try my best to spread it out with daily short readings. Once I've read my book I finish my reflection session with several scriptures from the Bible. When doing this I really enjoy highlighting or taking notes on words or scriptures that really stand out to me. It helps me be able to go back and look over it again in a time that I may be in need of those uplifting and spiritual words. I can honestly say that every morning that I am able to do this it truly does make a significant difference in not only how my morning starts, but the flow of the day as well as how my night ends. I feel refreshed and ready to conquer after doing this with a positive mindset and a warm heart. I carry that good attitude throughout the day with me and even try to have it rub off on other individuals as well. It is important to me how a person carries themselves and the ora that is in their vibe. Therefore I try to be a leading example of the vibes I would like to surround myself with. Of course we all our "days" that aren't the greatest and that is okay! There's no need to be too harsh on ourselves, overall it is about how we carry ourselves the majority of the days! I hope these suggestions will be as useful to you guys as they are to me! :) Also , if you guys have any helpful words for me as well I would love to hear them! Let me know what you guys do to keep a good and positive attitude!